We are a local electrical contracting company that strives on customer satisfaction. We take the time to make sure all of your questions are answered. You can be confident knowing that MB Electric, Inc. does quality workmanship to the highest standards. 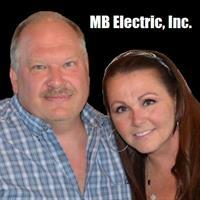 MB Electric, Inc. is fully licensed and insured and we have over 20 years of experience in the field. Serving ALL of La Porte County, Porter County, and St. Joseph County in Indiana! The methods we employ are modern and reliable. We utilize the latest technology to seamlessly execute your project and will be glad to explain the work we are performing in easy-to-understand terms.